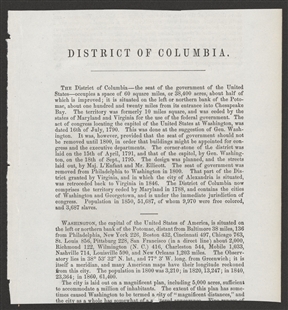 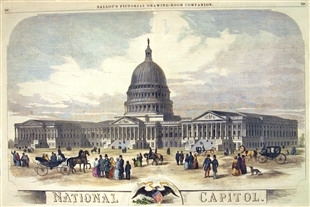 As the title of the publication—Our Whole Country—suggests, this small image of the Capitol was one of many illustrations of notable sights across the country. 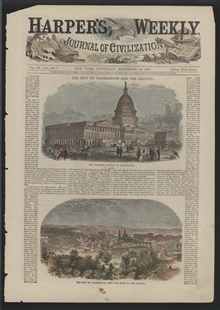 Prosaic descriptions of the Capitol. 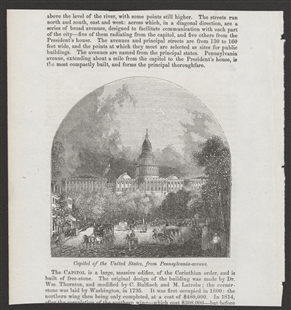 with the dimensions of the Rotunda and the costs of various construction phases, as well as a list of its most notable works of art, were part of the District of Columbia’s chapter. 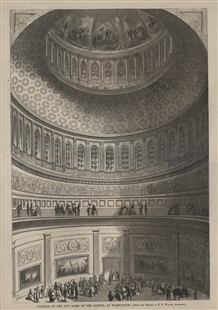 The preface stated that most of the engravings were “drawn on the spot,” but as the dome was not yet complete, the odd proportions probably resulted from a speculative image.